With a laid back attitude, Mauritians tend to take things as they come. But when it has to do with seafood, they are quick to become razor sharp. In this ocean of restaurants, we took a dip to get you the big fish out there. Here’s our ultimate list, potentially putting to shame many institutions on the Mediterranean coast or even in Southeast Asia. Helmed by Italian couple Antonio and Giulia, this restaurant is second to none when it comes to seafood. Working exclusively with the freshest of produce, this couple puts splurge-worthy dishes on the table. The array of colors on the plate hints more than it should on the successful fusion of Mauritian ingredients with Italian culinary know-how. The special touch of this place is its olive oil and herbs shipped straight from The Boot. 1974 has become even more sought after nowadays since it closes down several times during the year. Fingers crossed that you’ll get lucky on your visit! An honest, unpretentious, and warm welcome characterizes this little pearl that faces the ocean. From the scent of a blend of onions, tomatoes, and garlic filling the air, it won’t take long to decipher the Creole ambiance reigning in this charming restaurant. 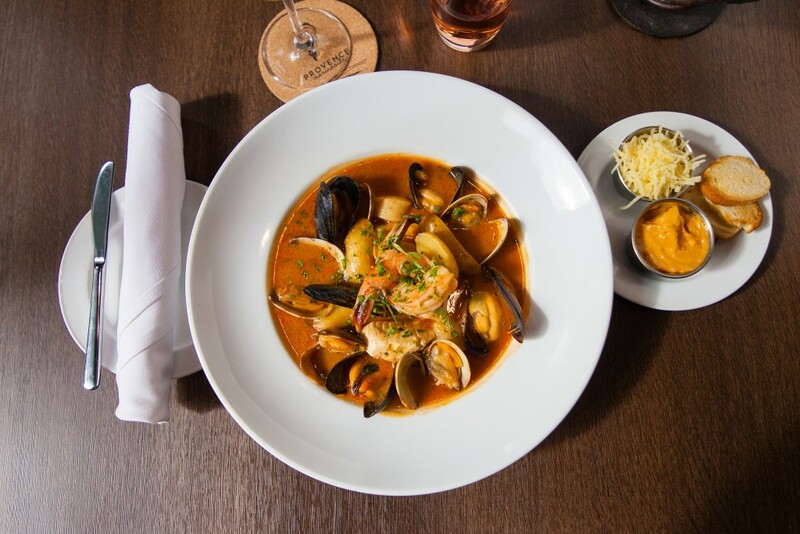 A revisited crab bouillabaisse is one of the best sellers at La Rougaille Creole. Their octopus “rougaille” (served with a tomato-based sauce) is also a winner, judging by the number of tentacles on the neighboring tables. With a minimalist décor, this place is definitely a must-go when you’re craving seafood. Denoting a type of fish (the blacktip grouper), this restaurant has nothing to hide. Located a few minutes away from the Mahebourg lagoon, you can even see the catch of the day being delivered right under your nose. Go for the beer garden seats and try their gingery calamari. Departing from the abundant Creole-prepared seafood, this restaurant has a penchant for Indian spices, giving its concoctions a finger-licking aspect. Scoring high already on its location, nestled right on the beach, Les Canisses also excels at transforming crustaceans into art. 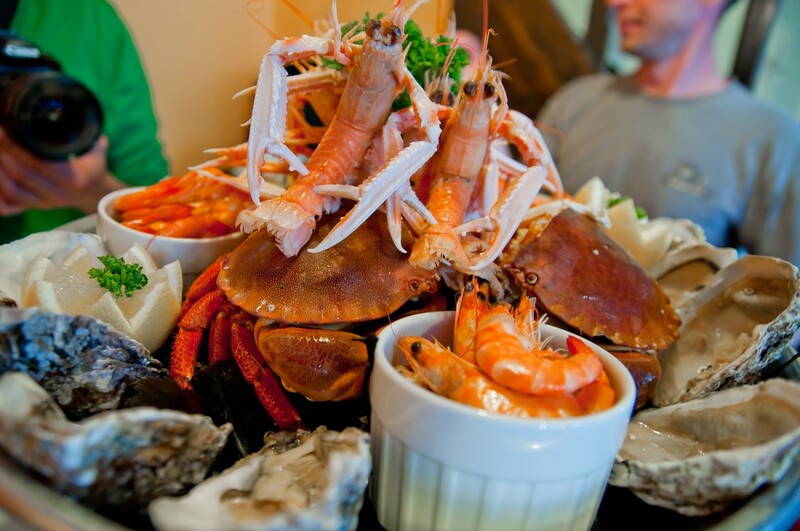 Their seafood platter is known to have made quite a few elated tummies from all around the world. Their palm heart salad with smoked marlin fish also caught our eye. An institution in the Mauritian culinary landscape, it is considered by many locals as the best restaurant on the island. Built on stilts right into the lagoon, its deck offers a stunning view on the bay. Boasting a very eclectic wine list, this restaurant grants you the honor of picking your own fish or lobster from a basin. 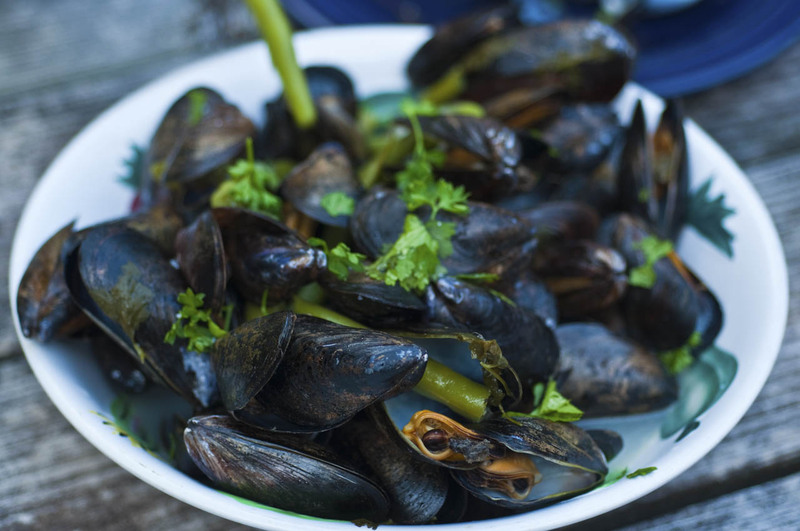 The St. Jacques ravioli are to die for and they are big on mussels. 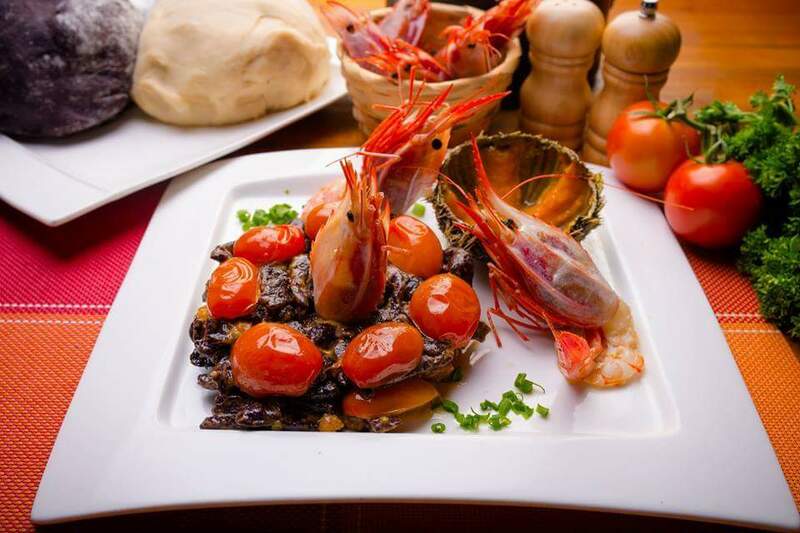 If you’re looking for that perfect match of seafood and wine, head straight to Le Pescatore. An obligatory rendezvous for fine diners on the island, this place breathes culinary art at apex. 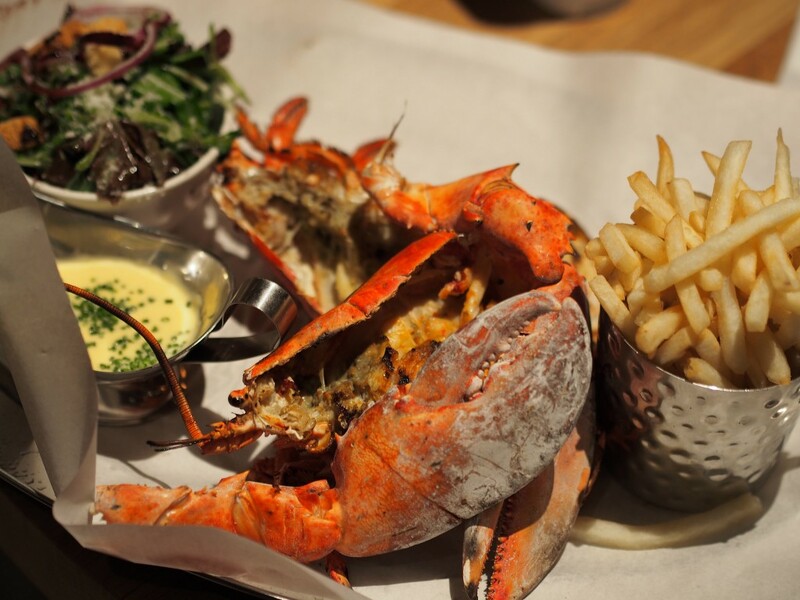 If you’re still not convinced, the bergamot lobster or the Malagasy will definitely reel you in. Do not make the mistake of showing up without prior booking! Quite a trek from the main road, this restaurant, makes the drive worthy in every sense. Offering an idyllic setting with its magnificent gardens and series of ponds and lakes, the Domaine Anna is yet another institution in the country. With heap portions and spoilt for choice, we recommend the steamed fish and lobsters. You can even be seated at one of the several covered booths surrounded by a stream. Run by a 13-sibling family, they also own other restaurants on this island. Far from dealing with Spanish cuisine, “Amigo” is simply an acronym of the names of the founder’s family members. Owning several fishing vessels, the family-run restaurant gets its customers the best out of the Mauritian waters. 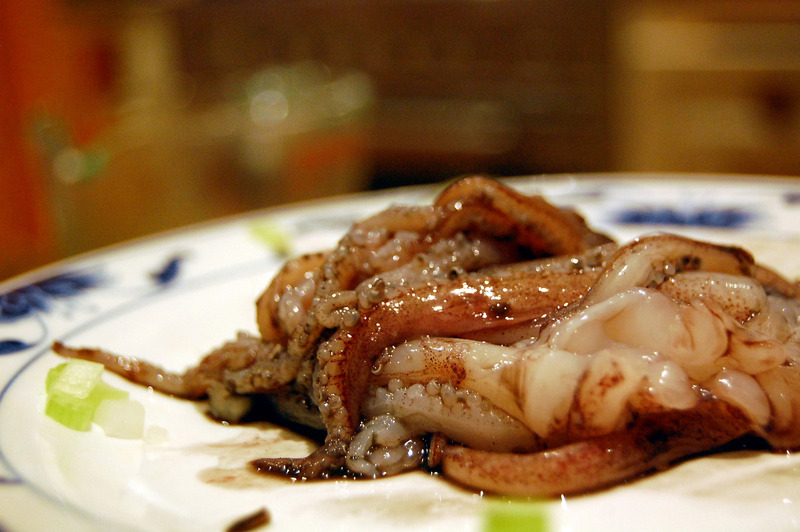 You can taste this freshness at the table, adding another dimension of flavor. 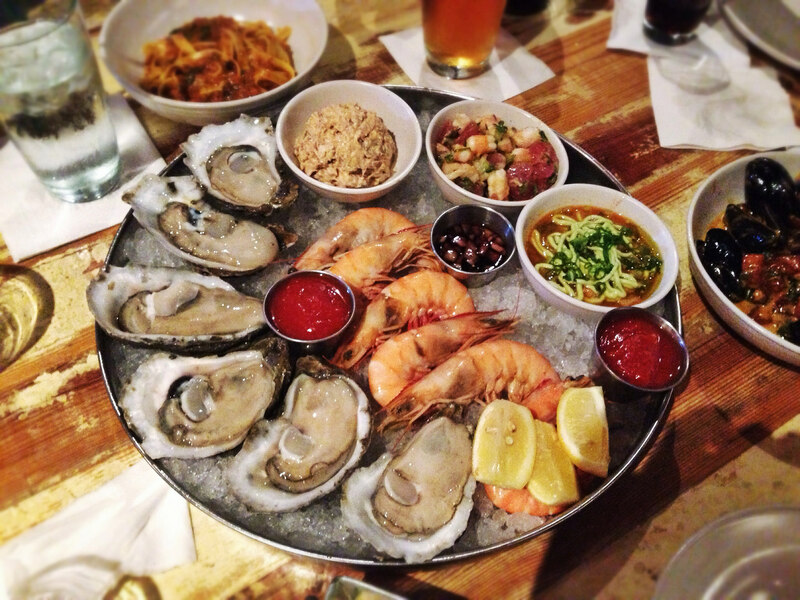 Dig into the oysters or get yourself the platter for a real feast. This is the temple of seafood if you want a new twist to your old classics. Managed by a charming Italian family, you’ll be welcomed by an authentic Piaggo scooter. 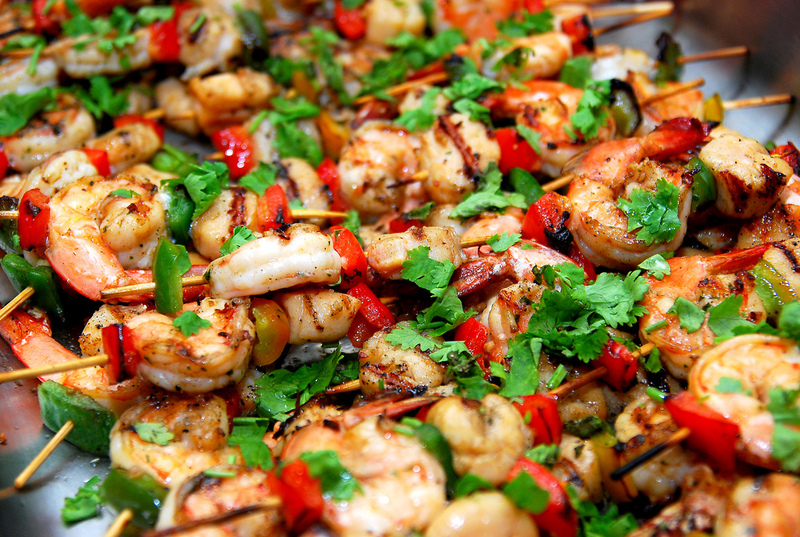 Skimming through the menu, you’ll immediately notice that most of their Italian dishes are served with seafood. The seafood gratin is a must and so is their crustacean cannelloni. 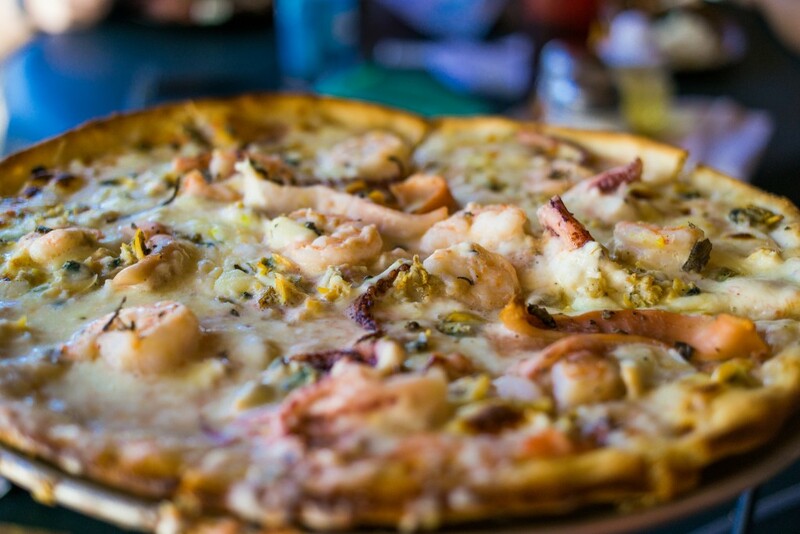 While you’re at it, why not dig into their seafood pizza, loaded with shells, squid, octopus, and tender crab meat. In the small coastal village of Flic en Flac, queues are often seen at the entrance of this restaurant. They prepare a heavenly crab soup, with perfectly balanced flavors exploding in your mouth. 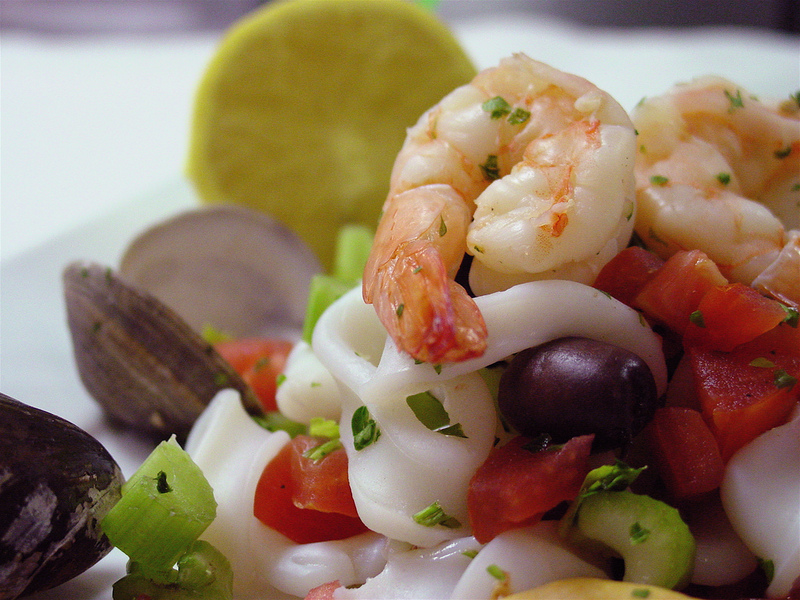 Another thing you cannot miss is the seafood salad with mangoes.